INMESOL, has an extensive network of Official Technical Services distributed across the five continents, which allows us to offer rapid and effective assistance to any problem or enquiry by our customers. In addition, at our Head Office in Spain, we have a team of engineers at our customers disposal. 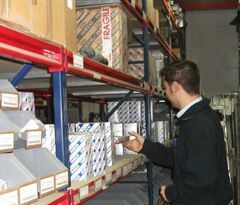 INMESOL has a very wide range and stock of spare parts for all components and makes that it installs in its gen sets. We can resolve your needs in record time. Our team of engineers in all branches makes it possible to advise our customers to meet any needs that they may require, anywhere in the world. 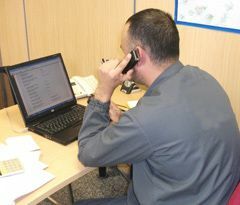 Our vocation is to be closer to our customers and adapt ourselves to their requests. We permanently advise and train our customers and official technical services, via classroom or videoconference. COURSES ON THE MOST RELEVANT TECHNICAL ASPECTS AND TECHNOLOGICAL ADVANCES FOR OUR CUSTOMERS AND TECHNICAL SERVICES. The technological progress of the systems integrated in the Generator Sets requires training courses that INMESOL organises assiduously for its customers and Technical Services.